Doctor Who: The Moffat Scripts - THE PILOT | Warped Factor - Words in the Key of Geek. Dr. Moo is left starry-eyed. The Pilot is an episode with a mission. It makes no secret of that fact, putting it right there in the title. This is designed as an introduction to Doctor Who and that’s all it is. Steven Moffat sets out, after a year off, to reestablish what this show is all about in an episode made precisely as a jumping-on point. 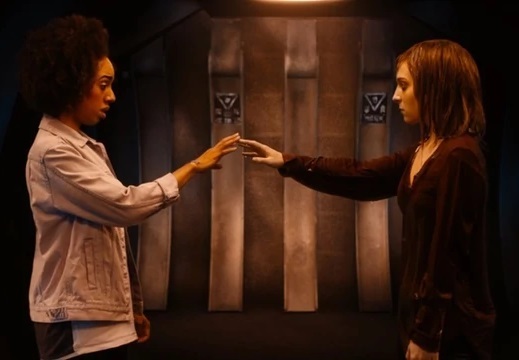 This is because of the new companion Bill Potts, played to perfection by relative newcomer Pearl Mackie, and the way her slow introduction to the Doctor’s world is done step by step with precision. She starts the episode with an extended scene showing how the Doctor, currently serving as a physics lecturer, has noticed her enthusiasm for a universe she doesn’t understand. (Maybe he relates?) 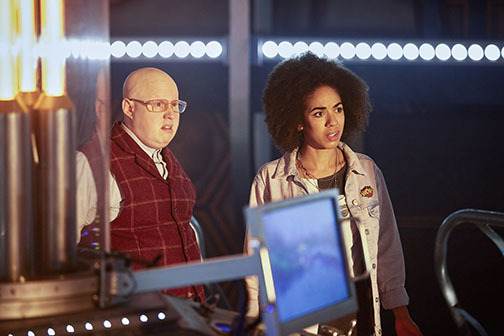 Over time she witnesses that he and Nardole are up to something suspect underneath the university. Over the course of several months we see her finding out more and more about him. When he goes back in time to get some pictures of her dead mother she begins to notice he’s not all he seems. And then the monster attacks. 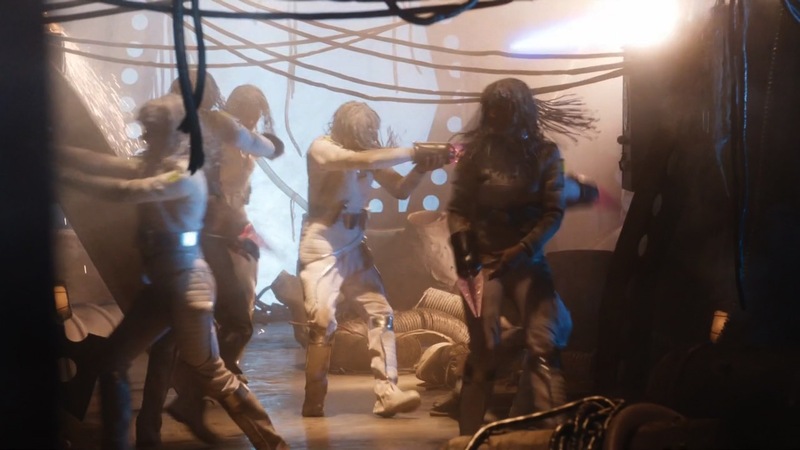 The monster of this episode is a sentient puddle of oil which has consumed the body and personality of a woman named Heather, and if that’s not the sort of thing you’d only get in Doctor Who then I don’t know what is. Heather then starts to chase after Bill and she goes immediately to the first person she thinks can help her: The Doctor. She’s taken into the TARDIS and it’s here that the episode shifts gears. Bill’s introduction to the TARDIS is cleverly done in steps. First she thinks it’s a knock-through into another room, then she thinks it’s an elevator downstairs. It’s only when it goes international that she realises it can take her to anywhere on Earth. After this she’s whisked away to an alien world in the far future and then to another one in the past where she meets Daleks. This is, in fact, one of two returns for the Movellans in 2017. One of these treats them with exactly the respect they deserve by not even giving them a name-check before mowing them down with gunfire, the other treats their return like it’s the big event that fans have been clamouring for for years. I’ll leave you to guess which one this is and which one was made by Big Finish. Oh yeah, I forgot to mention that Bill & Heather are a gay couple. Bill, in fact, marks the first time the Doctor has had a gay companion (on TV anyway, Izzy Sinclair from the comics and Oliver Harper from the audios both got there first). It’s a welcome progressive step that has never been more necessary than in a time where Donald Trump is the leader of the free world. Is it important? Yes, I’d say so. You get technical and point out the audio and comic examples I mentioned, and go off on one about bisexual companions like Jack and River and Clara and (as will be hinted at later) Nardole, but there’s never been a gay one in the television series before. 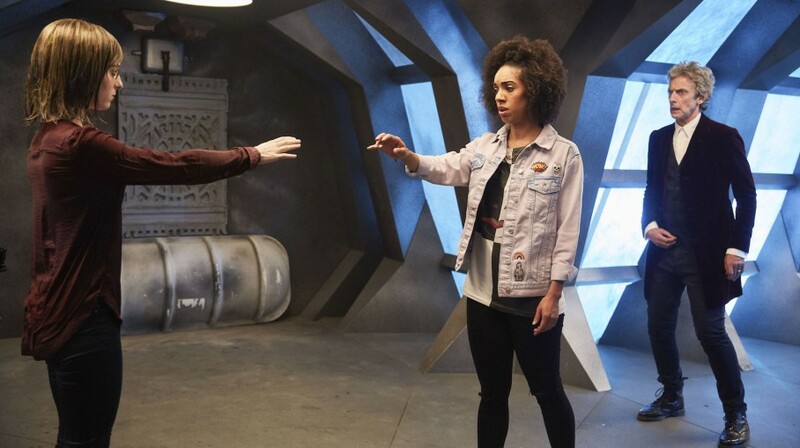 As Pearl Mackie said herself when she revealed this fact: “It’s about time, isn’t it?” And that fact that other companion in this season, Nardole, is played by a gay actor also needs pointing out. There’s a clear intent here, don’t miss it. There’s not a whole lot else to say about The Pilot, it just a really fun episode that exists to kick off series ten in style by introducing the new companion. You could sit around all day pointing out that it isn’t the best season opener or companion debut story and complain that it doesn’t strive to be anything more than a decent episode which exists merely to fulfil a duty. But that is to miss the point. All this is is a beginning. It’s an extended trailer for Bill (and the audience) for what Doctor Who can do. It tells you what this show is all about and nothing more. By the end one thing is clear: The best is yet to come and now that the new TARDIS team is set up the adventures can really begin.